Paula Dorf Cosmetics are well known in the beauty industry for their high quality brushes and color cosmetics. The products have been featured in In Style, Allure, Elle, and on many celebrities including Jessica Simpson and Sandra Bullock. Paula Dorf Cosmetics has received a number of recognitions including several "Allure Best of Beauty" awards and Self Magazine's Healthy Beauty Award. I also received a sample size of the Teal Mascara. This palette comes in sleek black packaging with a mirror and a double ended brush. 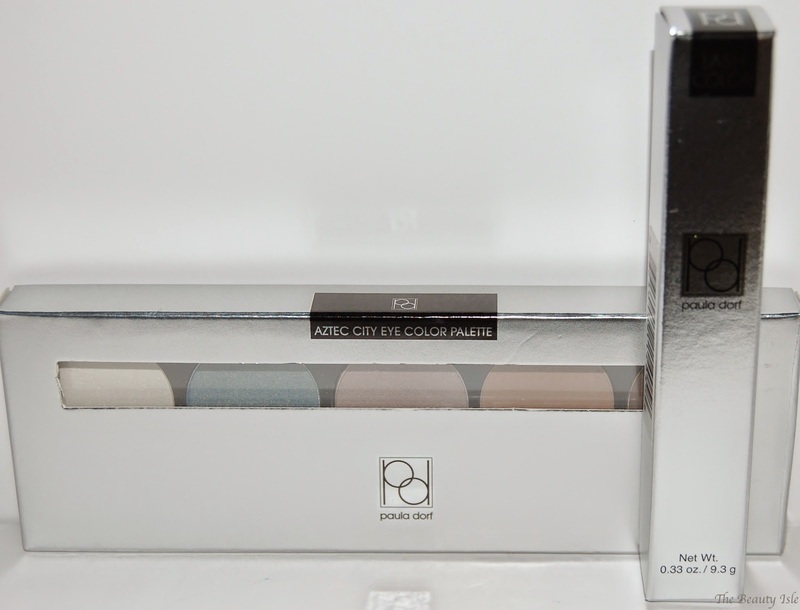 The palette includes 5 shades, a cream shade, a blue/gray, a lilac/cream, a light brown, and a dark brown. These shadows are extremely soft and creamy. They blend well and there is very little fallout (mostly with just the dark brown). However, the lighter shades do not have good pigmentation, specifically the cream (1st color), lilac/cream (3rd), and light brown (4th) colors. The blue/gray shadow has ok pigmentation and requires a heavy hand when applying to the lids with a brush. The pigmentation of the dark brown is excellent. Using an eye shadow primer or base with these shadows is non-negotiable. The below swatches were done with several swipes of the shadows and as you can see the 1st, 3rd, and 4th shades still barely show up on my skin tone. When I use these shadows on my eyes, it takes a while to build up the color but they do last all day with an eye primer. I did not show photos of the mascara because it barely showed up on my lashes, nor did it separate or lengthen them as promised. I think that this eye shadow palette would work best for those with fairer skin than mine. 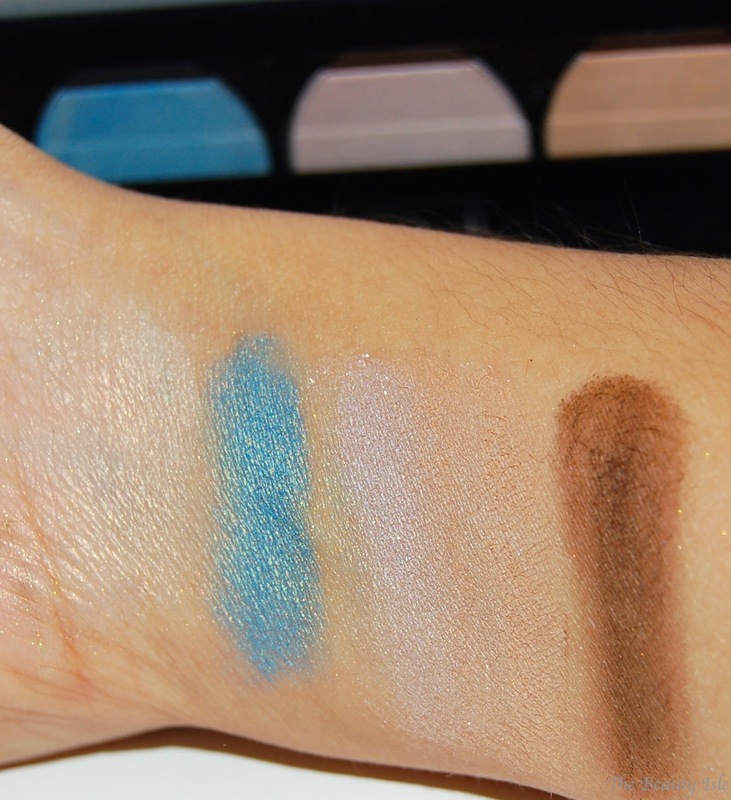 If the blue/gray shade showed up on the eyes as well as it showed up with my heavy swatch, it would be gorgeous. 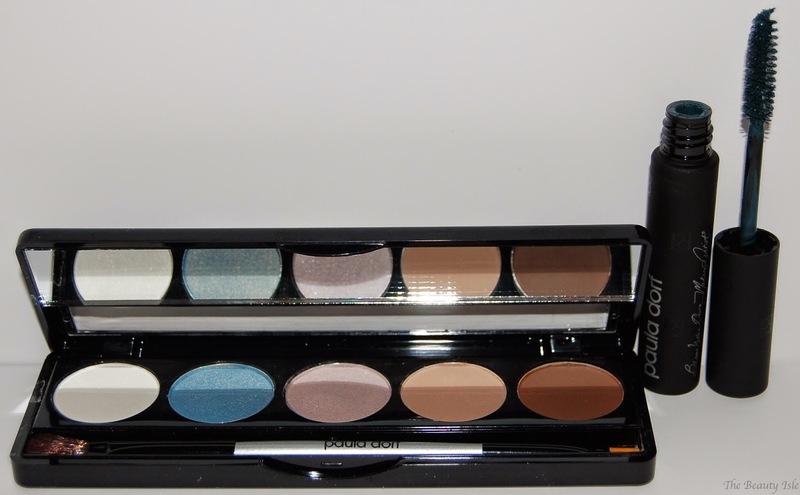 You can purchase the Paula Dorf Aztec City Eye Shadow Palette HERE for $36. 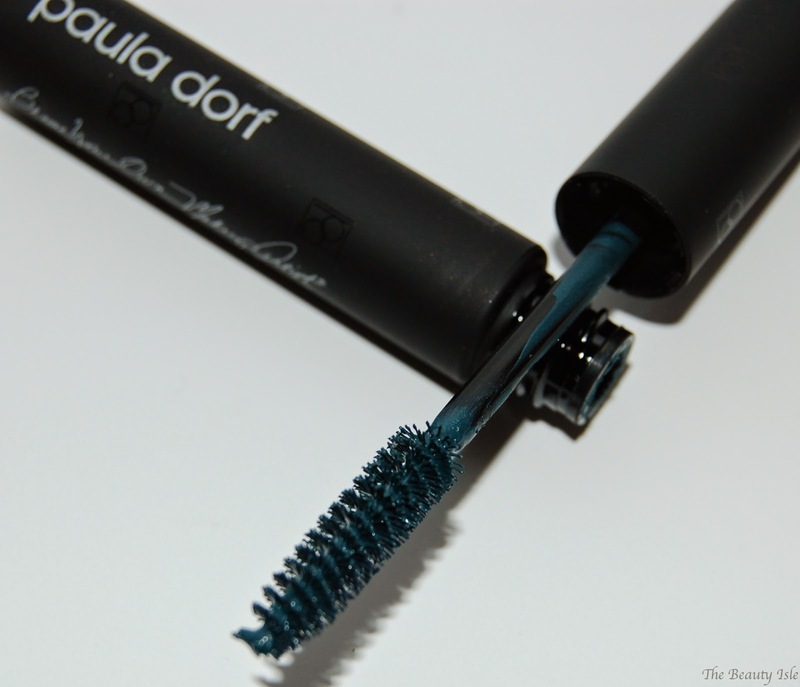 Right now you can receive a free tube of the teal Paula Dorf Mascara with any purchase using the code TEAL. Have you ever tried any Paula Dorf products?